USING ONLY THE BEST AVAILABLE STEEL. 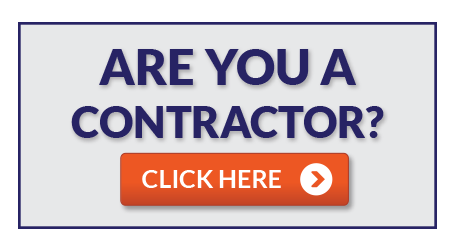 PermaSteel is an Australian manufacturer of quality Australian-made fencing which is committed to providing excellent service and quality fencing materials direct to fencing contractors throughout the country. Our steel fencing has a modern slimline post and rail profile and a specially designed “neighbour friendly” sheet design with so that it looks great from both sides and all angles. Additionally, Permasteel fences are also great privacy barriers as they don’t have footholds for intruders to climb or gaps for people to peer through. Maintenance of a PermaSteel fence is very simple. All you need is to make sure it’s clear of garden debris and soil and give the whole fence an occasional wash down. 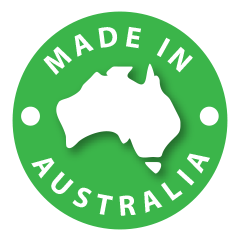 PermaSteel regularly ship fencing to many parts of Australia and are experts at packing and shipping products to any destination. 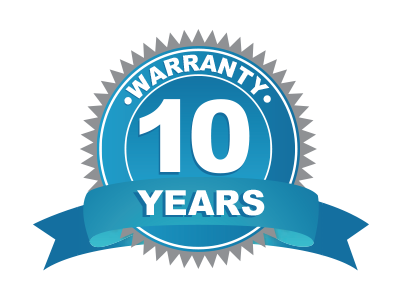 We are so confident of the quality we back each fence with a full 10 year warranty covering all posts, rails and infill sheets. (see warranty policy for full details). 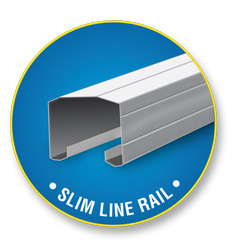 The slimline rails are square in shape with two extra strengthening ribs running along each face. These rails are 0.80 mm thick. Coated with a Regular Modified Polyester paint system developed by one of the world’s largest industrial paint producers, who supply many of the world biggest steel producers. 100% recyclable and the efficient design generates very little waste or scraps during installation. 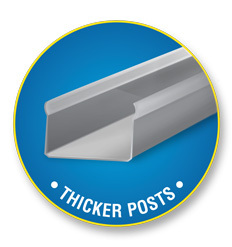 PermaSteel posts are 0.95mm thick, which is 18% thicker than most other posts. PermaSteel posts have a “galvanised” protection layer for the maximum protection against rust and corrosion while in the ground. 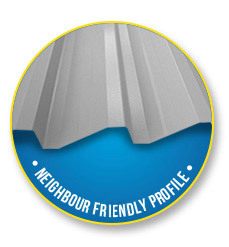 PermaSteel infill sheets are a full 0.35 mm thick (some other manufactures only use 0.32 to cut cost). paint producers, who supply many of the world biggest steel producers.